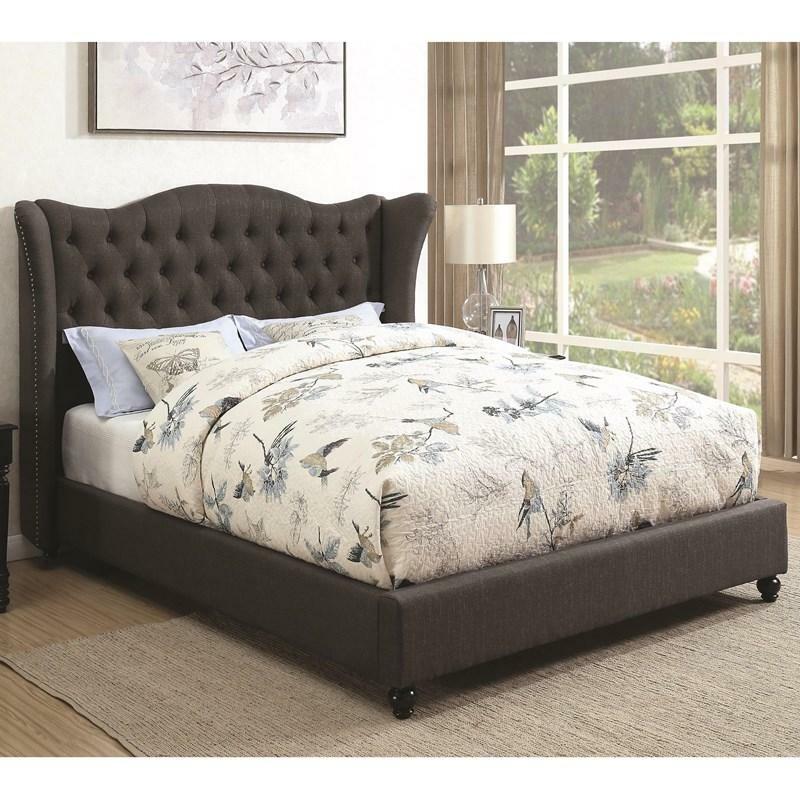 This Newburgh King Upholstered Bed created by Coaster Furniture features a button tufted headboard that has a demi-wing and nailheads trim around it, it also shows an upholstered footboard and rails and turned bun feet in a cappuccino finish. 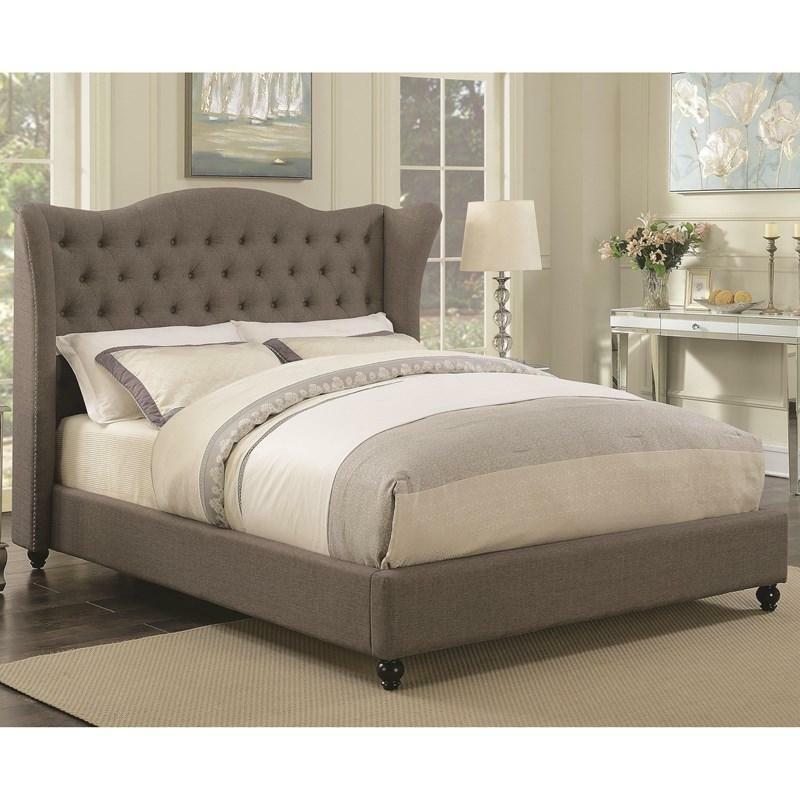 This bed comes with a light grey fabric that will match any decor in your bedroom. Volume 22.49 cu. ft. / 0.64 cu. m.